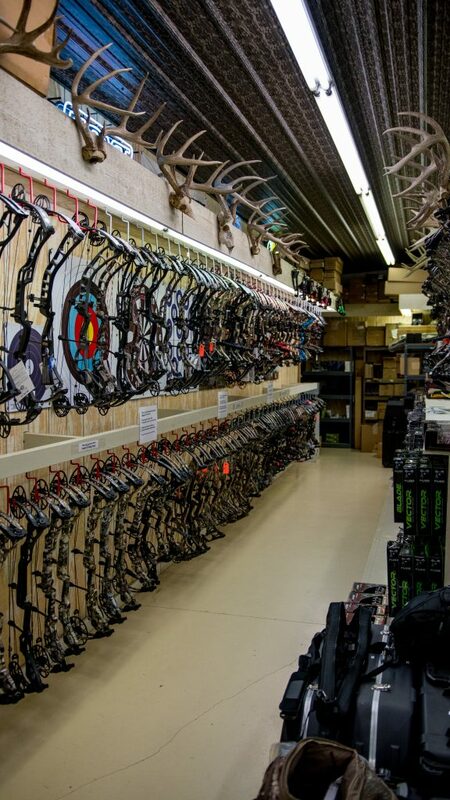 Pro Shop - Smoky Valley Shooting Sports, INC.
Our full service pro shop is ready to assist you with all of your archery needs whether you’re a first time archer or a seasoned pro. With 2 full time techs on staff, our goal is to provide our customers with the best service and proper equipment to suit their individual needs. We have one of the largest selection of bows in the state of Kansas with over 70 models ready to test in our shooting tunnel or 20 yard indoor range. We also carry a large variety of left-handed bows in stock, with most all models available, as well as a variety of women and youth bows to fit all ages. 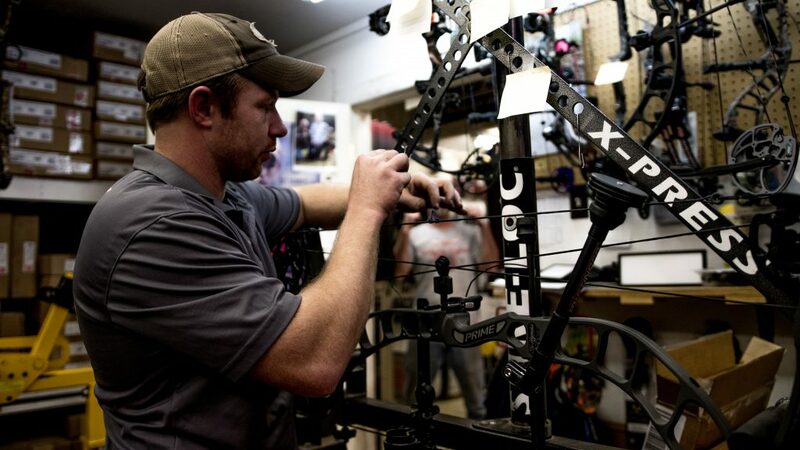 Some of the brands we carry include: Hoyt, Mathews, Mission, Bowtech, Diamond, Elite, Bear, PSE, Prime, Xpedition, Gear Head, and Obsession. In addition to compounds, we stock traditional bows and accessories from a number of makers including: Hoyt, Fuse, Bear, PSE, and Vista. We also stock bowfishing equipment at our shop. We carry complete bowfishing setups from PSE and AMS, as well as accessories including reels, arrows, and rests. We also have complete kits to turn your current bow or crossbow into a bowfishing rig.